To push international cooperation in a big way, Chairperson Romulo led the NCDA in a series of meetings with visiting foreign experts from VSO-Netherlands, Fred Hollows Foundation, NHE Japan and Queensland University of Technology, Australia to keep abreast with the latest disability trends and usher in as many options as possible for the sector, here and abroad. 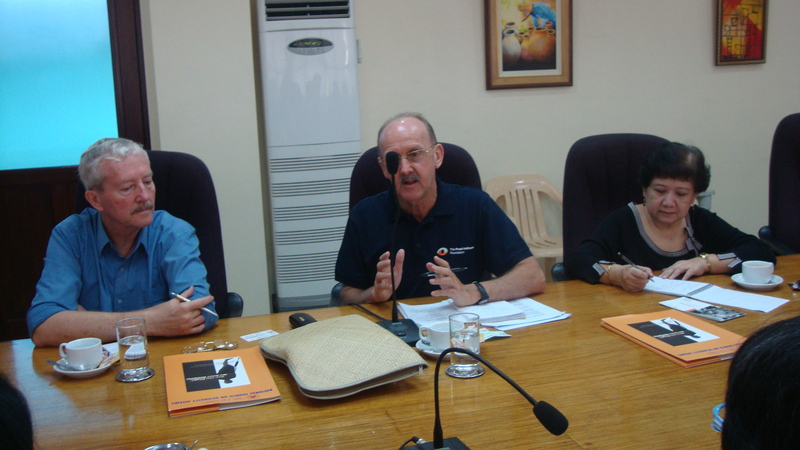 This is the Councilâ€™s pitch to fulfill its commitment to upscale the rights of PWDs thru international cooperation called for in Article 32 of the UN-Convention on the Rights of Persons with Disabilities (CRPD). 1. VSO-Bahaginan team led by Ms. 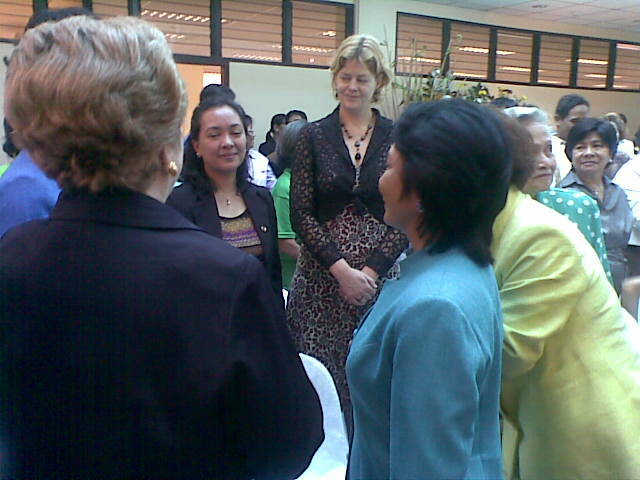 Joke Zwart, was introduced to President Gloria Macapagal Arroyo who graced the Councilâ€™s celebration of its new building. Through NCDA, VSO-B invites Filipino volunteers to share their expertise in various fields in selected countriesâ€™ disability programs. From the occasion, the team was able to link up with heads of government, private and disabled peopleâ€™s organizations. 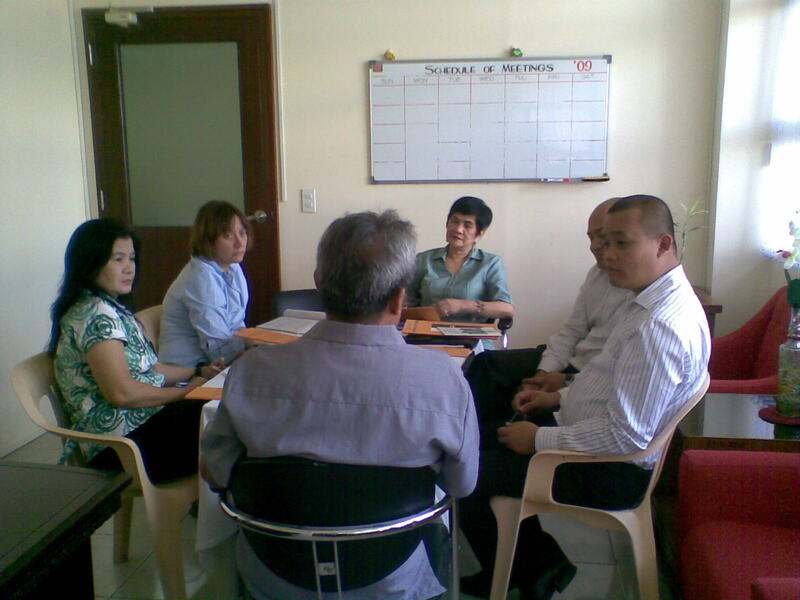 Meeting with Voluntary Service Overseas (VSO) Bahaginan International Placements Manager for Disability Ms. 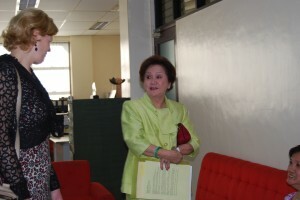 Joke Zwart and Ms. Maloy Tiongson, Volunteering Programmes Manager on February 17, 2010 and met NCDA Undersecretary Rosie Lovely T. Romulo, DSWD Undersecretary Luwalhati F. Pablo and Engr. 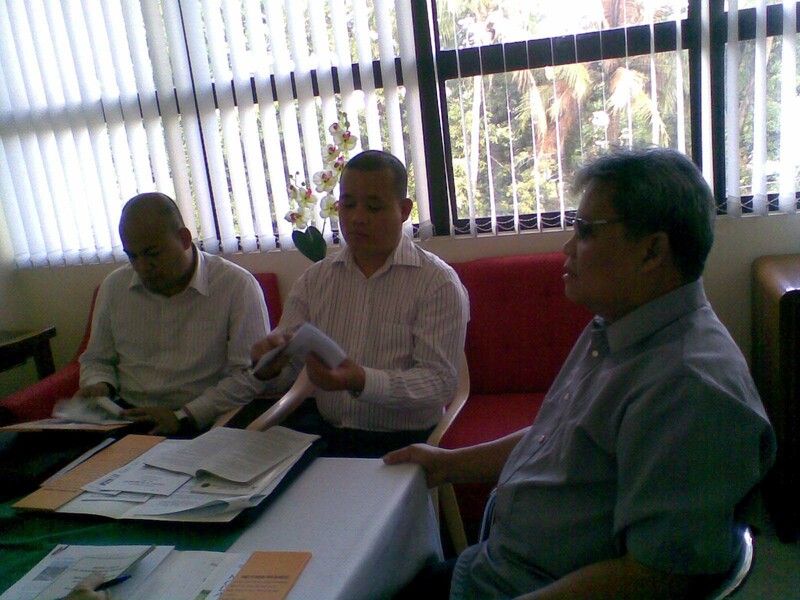 Bien C. Mateo, Chairperson, Committee on Disability Super Malls during President Gloria Macapagal-Arroyoâ€™s visit to NCDA on February 18, 2010. 2. 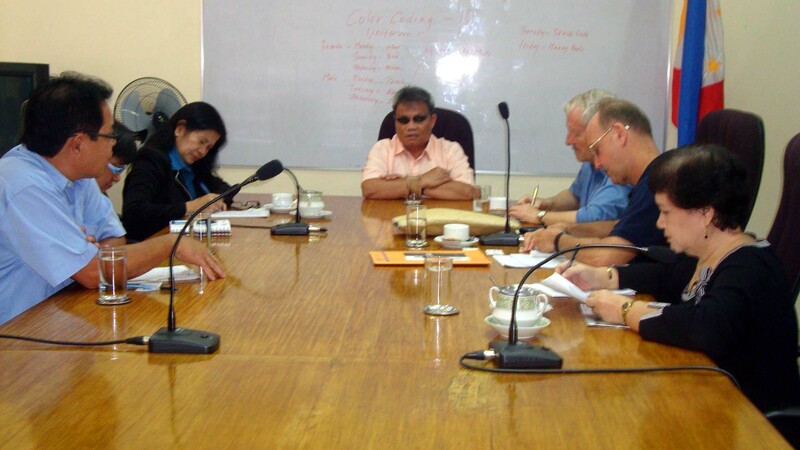 Fred Hollows Foundation, long time partner of the Department of Health on its disability prevention and empowerment programs for visually impaired Filipinos, exchanged information with NCDA to explore potential program tie ups. January 25, 2010, NCDA Board Room, Meeting with former Australian Ambassador now volunteer for Fred Hollows Foundation Mr. Graeme Lade and Mr. Ross Hardy, Program Development Manager with Mr. Mateo A. Lee, Jr. Officer-In-Charge, Ms. Nelia R. De Jesus, Chief, Technical Cooperation Division, Ms. Marlu F. Evangelista, Planning Officer IV, Mr. Rizalio R. Sancez, Chief, Information Education and Communication Division and Ms. Evelyn T. Dolencio, Regional Programs Coordinator, NCDA. 3. Queensland University of Technology (QUT) team under its â€œAustralian Leadership Awards (ALA)â€ offers partnership to train in Australia a delegation from NCDA, partner agencies including DPOs. The 6-week training spurred by â€œworking together for greater impactâ€ aims to train in-depth, major stakeholders on policy development, advocacy, networking, CBR and other fields, with the rights of persons with disabilities as an anchor. Meeting with Ms. Karen Lawrence, Project Director, Mr. Nelson Salangsang, Manager and Mr. Vincent Sacriz, International Development Officer, Queensland University of Technology, Brisbane, Australia on February 10, 2010 at NCDA with Officer-In-Charge Mr. Mateo A. Lee, Jr., Nelia R. De Jesus, Chief, Technical Cooperation Division and Ms. Dolores Deang-Soterio, Chief, Programs Management Division. 4. 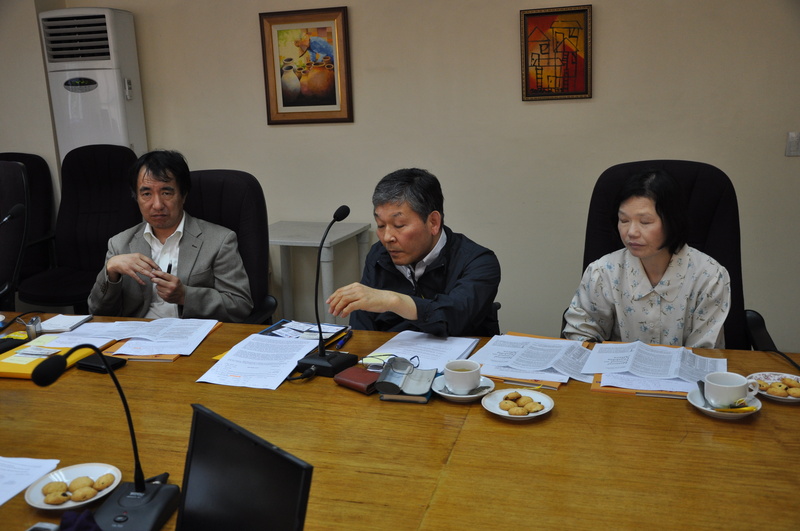 JICA Experts from Japan, shared with Council counterparts the latest trends on Non-Handicapping Environment, prior to serving as Resource Persons in two NHE pilot sites in New Lucena, Iloilo and Opol, Cagayan de Oro. 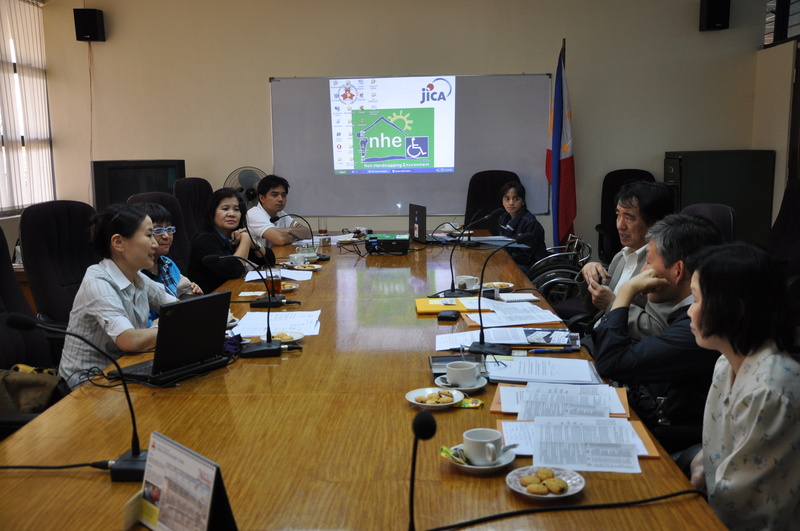 Orientation Meeting, Sharing of Access Audit Training and related Profiling in Opol and New Lucena (Non-Handicapping Environment (NHE) pilot areas) by Ms. Naoko Ito, JICA Expert, and NHE Project Assistants Ms. Eunice Marie Gato-Factor and Mr. Edward B. Esternon, NCDA Planning Officer IV, Ms. Marlu F. Evangelista and Ms. Nelia R. De Jesus, Project Development Officer V with Mrs. Yoshie Kawauchi, Mr. Katsushi Satoh, Associate Professor/Architect and Dr. Yoshihiko Kawauchi, Ph.D., Professor/Architect, JICA Short-Term Expert for NHE who shared new trends in accessibility on February 16, 2010, NCDA Board Room. I am looking for someone to help me working abroad.I am a PWD member having an orthopedic disability , a high school graduate, graduated as salutatorian in a public school. I have 2 sons 13 and 9 yrs. old. If there is someone or organization who can help me I am willing to take any training if required. I am doing this action for the future my children. Once again, please help me. 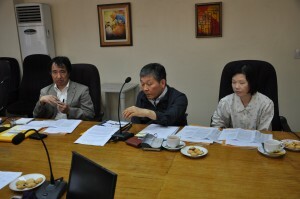 I am Dal Yob Lee, professor of Vocational Rehabilitation at Daegu University in Korea. I met with you at an international conference if my memory is correct. I graduated from Southern Illinois University, and Dr. Stanford E. Rubin was my major academic advisor for my doctoral study. I also got my masters degree (MA) from University of Missouri-Columbia, specializing Rehabilitation Counseling. I have been doing research and teaching since 1994 here in Daegu and find my work very much inspirational and interesting so far. It seems that I am always learning something new. I teach undergraduate and graduate courses, such as Vocational Assessment, Medical and Psycho-social Aspects of Disabilities, and Research Methodology in Rehabilitation. Additionally, I was a Fulbright Senior research fellow at California State University-Fresno and a special research fellow at Tsukuba University, Japan. Last week a group of persons with severe disability were approaching me to ask whether they can have contact with leaders in Philippines. They want to visit your country and to make friends who have disability. This letter is to ask your help to find contact persons and places for visiting. Organizations could be any center for independent living, comprehensive rehabilitation facilities, and grass-root organizations. We also want to find Philippines leaders or activists in disability rights movement who have disability themselves. Our visit group including myself will be composed of seven persons and two of us are wheelchair users. This type of exchange program may not be a one time. Your advice and kind guidance will strengthen collaboration between Philippines and Korea. If you have any questions concerning our visiting qualification, please feel free to contact me at (82) 53-850-4314 (O), or email me at “dal2002@hanmail.net”.